Azerbaijan is a country of fierce pride, curious contradictions and charming oddities. It is a place where traditional meets cosmopolitan and weird meets wonderful. Azerbaijan is situated at the crossroads of Asia and Europe and home to over 9 million residents. Popular attractions include the mud volcanoes in Qobustan, Tatik u Papik in Khankendi and Old City Baku. Get ready to embark on an unforgettable journey to this alluring country with cheap flights to Azerbaijan. Baku, the capital city, is home to Heydar Aliyev International Airport (GYD), which is a 25-minute drive from the city. Heydar Aliyev International Airport serves several airlines, including Azerbaijan Airlines, Qatar Airways and Turkish Airlines. Popular connecting flights to Baku depart from Johannesburg and Cape Town. Flight duration from Johannesburg is approximately 11 hours and 40 minutes. 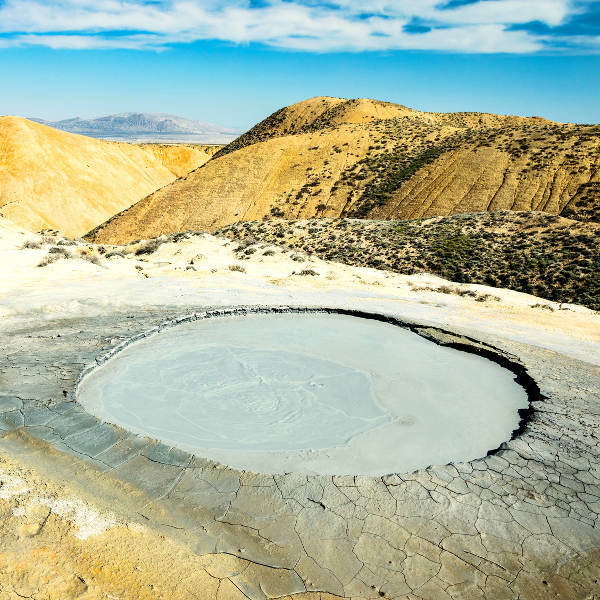 Azerbaijan is home to about 400 mud volcanoes and they are surprisingly enchanting. Watch as these bubbling craters ooze and gurgle over the landscape or plunge into its cold depths. The preparation of Azerbaijan food is considered a culinary art. 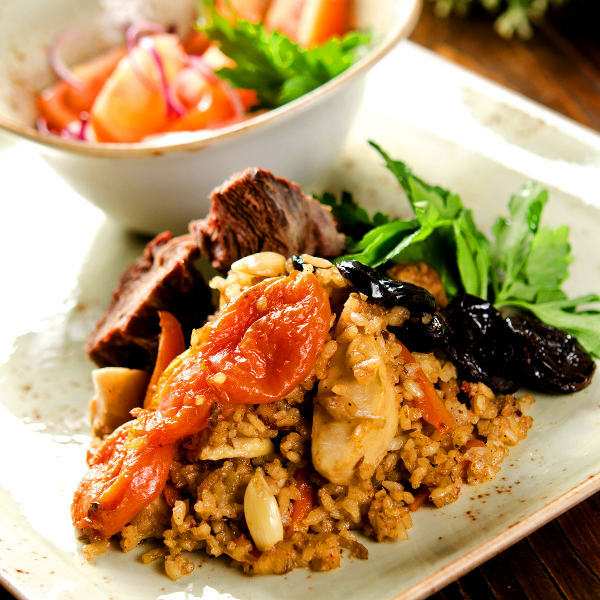 Traditional techniques and delicious ingredients come together in a fiery embrace to create unique dishes such as fisinjan and bozbash. With its ancient walkways, traditional souks and historical attractions such as Maiden Tower and the Palace of Shirvanshahs, Old City is the heart of Baku and a UNESCO Heritage Site. The climate of Azerbaijan is continental, with warm and sunny summers and cold winters. Thunderstorms do occur during the winter months (December to March). The best time to visit Azerbaijan is from April to June and September to October, when the weather is less severe. However, each season offers something special. Spring and autumn offer beautiful palettes and wonderful weather, while the summer months abound with shimmering springs and outdoor activities. And if you are able to brave the low temperatures, winter offers fantastic skiing and scintillating culinary surprises. For cheap flights to Azerbaijan, the best time to visit is during winter. Once home to ancient empires and now a country that is rapidly reinventing itself at the crossroads of Asia and Europe, Azerbaijan is a country of curious contrasts and beguiling contradictions. 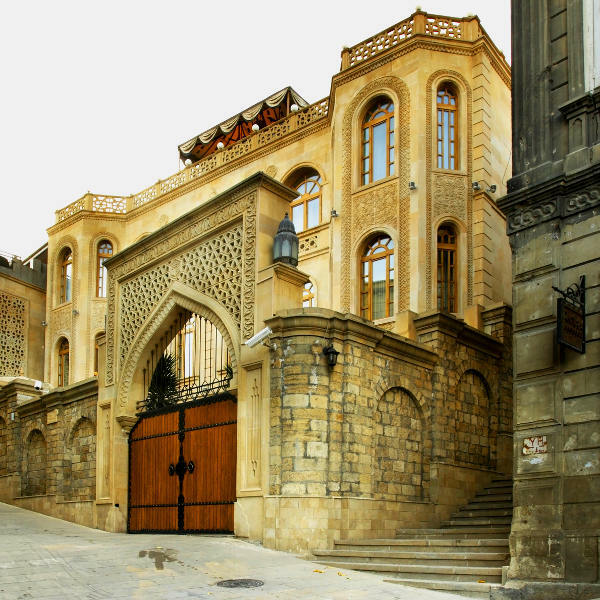 The capital, Baku, is a strange composition of 21st century architecture and a medieval fortress. The beloved Old City is a UNESCO World Heritage Site and the indisputable heart of the city. But beyond the old walls, the wide boulevards and exclusive boutiques hum with cosmopolitan allure. Lose yourself in the ancient city of Sheki for a taste of old world Azerbaijan. Be awed by the traditional shebeke mosaic of the palace of the Sheki Khans or explore bath houses, silk factories and shops in the historic centre. Head away from the cities completely and you will be gifted with extraordinary landscapes. Lose yourself in the emerald tangles of Zaqatala, learn about the Caucasian Albanians in Kish, or spend the night in a rustic homestay in the mountain village of Khinalug. Azerbaijan is also famous for its healing Naftalan oil. The famous Naftalan Resort is located 50 km outside of Ganja and offers treatments for over 70 diseases. Compare several airlines and book your cheap flights to Azerbaijan online at Travelstart! South African passport holders require a visa to enter Azerbaijan. Applications are processed through the ASAN Visa system. Visas are valid for 30 days. You will need to ensure your passport is valid for at least six months and has two blank pages for entry stamps. For more information on the application process, you can contact the Embassy of the Republic of Azerbaijan in Pretoria. Although crime levels are generally low in Azerbaijan, you should still maintain vigilance and use common sense throughout your trip. If you are staying in the country for more than 10 days, you will need to register with the State Migration Service. Travel insurance to cover theft and medical expenses is recommended. Nagorno-Karabakh is a conflict region and should be avoided. Avoid carrying large sums of cash and valuables and wandering around alone at night, as street crime does happen. Situations involving beautiful women who ask you to buy them drinks and then leave you to face a gang of thugs is a common scam. Taxi drivers are also known to cheat tourists out of money; only make use of licensed taxis and agree on a fare beforehand. You should familiarise yourself with the local laws and customs before arriving in Azerbaijan. Although the risk of malaria is low in Azerbaijan, precautions should still be taken to avoid mosquito bites. Proof of yellow fever vaccination is required if you are travelling from an infected area. Immunisation against hepatitis A & B and rabies is recommended. Routine vaccinations include MMR, diphtheria-tetanus-pertussis, varicella and polio.